Buying a home is one of the most exciting times of your life. This philosophy is the driving force behind our exceptional service guarantee. From starting your home search to finding the perfect home to managing all the details, we are dedicated to making this an amazing experience with our 10 Step Process. Step 1. It’s all about YOU! a. We will listen to YOU! Sounds simple, but YOU control the process. b. We will take into account your specific needs when you purchase your new home. c. We will provide our expertise to help YOU achieve your real estate goals. Step 2. Show YOU the money! a. We will stand by our Realtor Code of Ethics and show homes to buyers that have provided me with proof of funds or have a Prequalification Form. b. We understand that unless you have a stash of cash laying around, you might need a loan to purchase a home. c. If you need a loan to purchase your new home, we recommend a local loan officer that is reputable, knowledgeable and knows the area specific rules and regulations. d. We will help you navigate the Prequalification process to keep you focused on the main goal of purchasing your new home. e. We will help you choose the best mortgage and financing options for your situation. f. We will work tirelessly with the loan officer throughout the entire process to make sure all the deadlines and timeframes are adhered to so that your loan closes on time, with as little headache as possible. a. We will share with YOU my knowledge on local communities, lifestyle choices, and neighborhood amenities. b. We will create a broad list of communities and neighborhoods that showcase the features and amenities YOU specify as important. c. We will provide YOU with detailed resources to research additional information about the neighborhoods, schools, and amenities. Step 4. YOUR perfect home! a. We will create a personalized web portal for YOU to search homes that match your criteria. b. We will use my state of the art home search website to notify YOU immediately of any homes that meet your criteria. c. We will provide YOU a home search app for you to quickly and easily search homes with your smartphone or tablet. d. We will work tirelessly to find, preview, and show YOU homes that match your criteria. e. We will not stop until we find the home that is perfect for YOU. a. We will research comparable homes and provide YOU with a recommended offer price. b. We will consult with the listing agent to identify any terms or conditions that are important to the seller, so YOU have the best possible chance of an acceptable offer. c. We will advise YOU on realistic terms and conditions so you have the best possible outcome. d. We will write the offer for YOU and explain your legal obligations and duties. a. We will build rapport with the listing agent and seller by operating with integrity, highly effective communication and assertiveness. b. We will present the offer to the listing agent and seller using a 5 strategy approach to communicating the terms and conditions. c. We will use best practices and knowledge of local customs and practices to negotiate the best possible outcome on your behalf. a. We will recommend a team of qualified and competent vendors, such as home inspectors, termite inspectors, pool inspectors, home warranty companies, insurance recommendations, etc. b. We will help coordinate inspections, appraisals, and services saving YOU time and money. c. We will advocate for the best possible service and price from our vendors. a. We will coordinate and oversee the entire process using a systematic approach to follow-up. b. We will advocate and guide YOU through the entire process. c. We will accompany you to a final walk-through of the home to make sure the home is in reasonably the same condition as when you first saw it. b. We will resolve any last minute issues that might arise. c. We will help you understand the legalese of the closing documents. a. We will help coordinate getting you the keys and utility companies for your move in. b. We will assist with any post-closing issues. 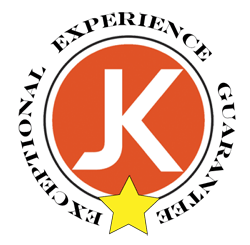 At JK Realty, we continue forward our philosophy that purchasing a home should be a fun and exciting time in your life. We know that communication is key to having an excellent experience!